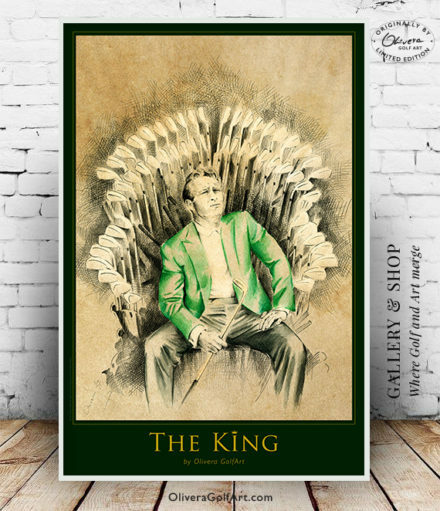 Golf throne belongs to THE KING. 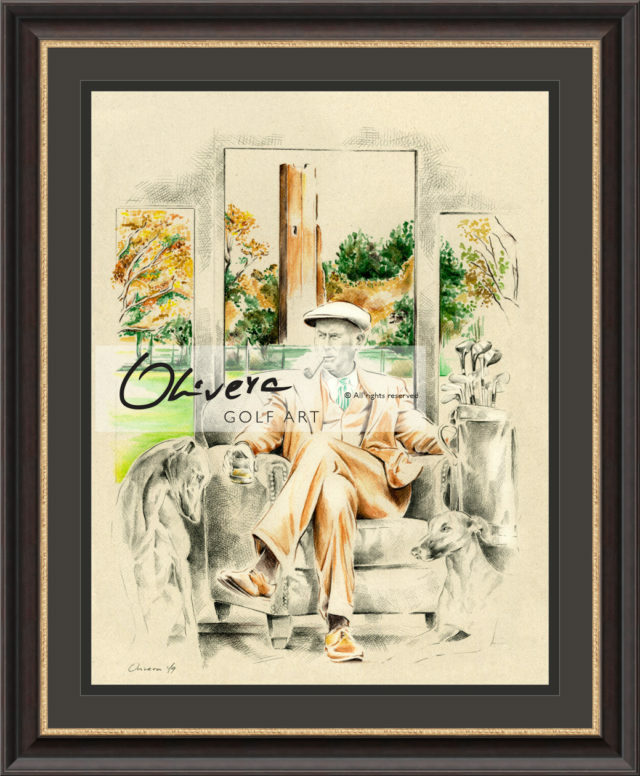 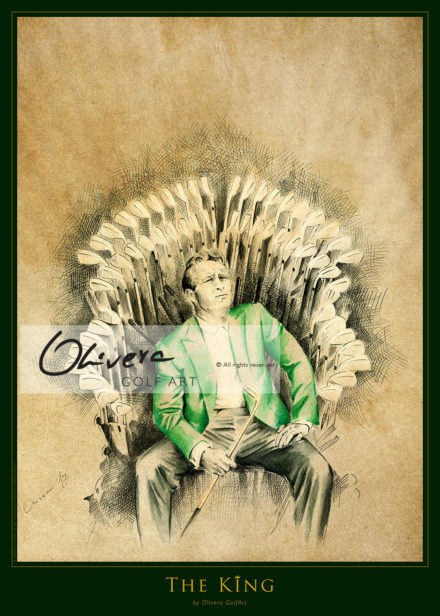 This GolfArt poster is tribute to exceptional person Mr Arnold Palmer. 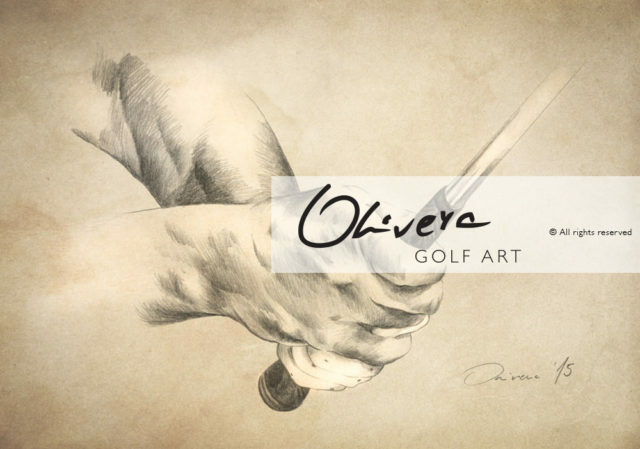 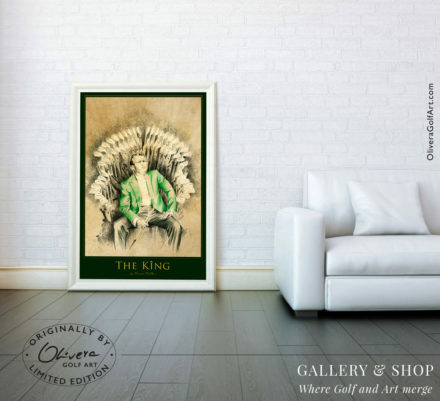 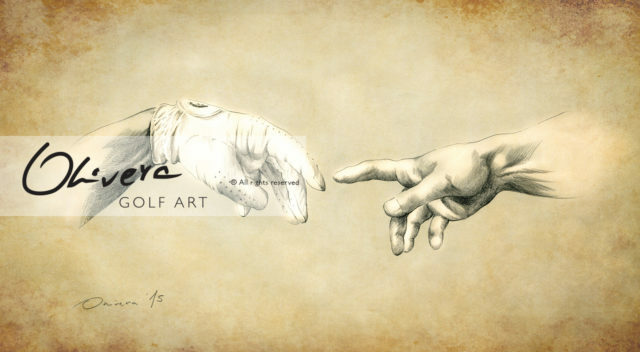 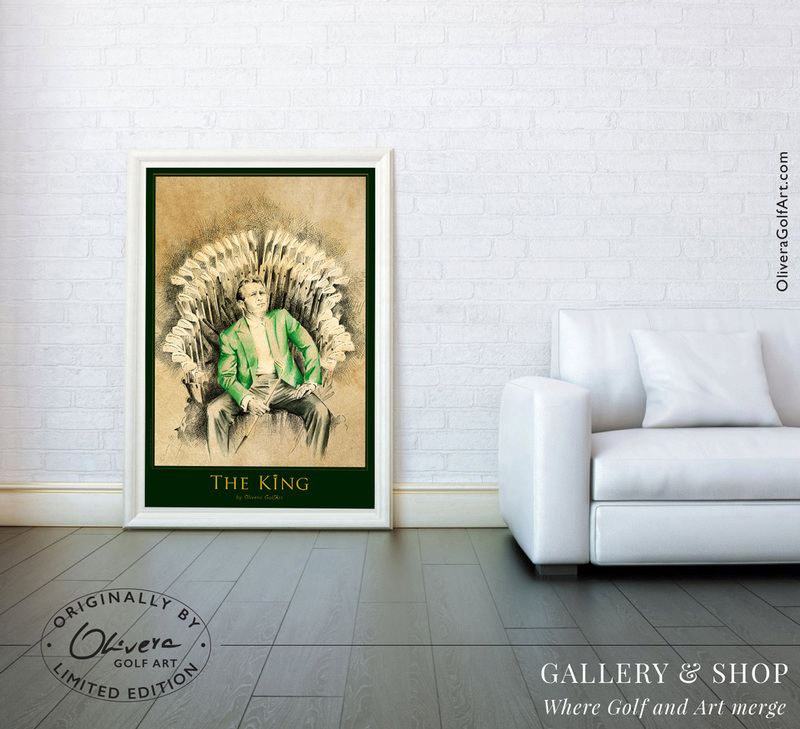 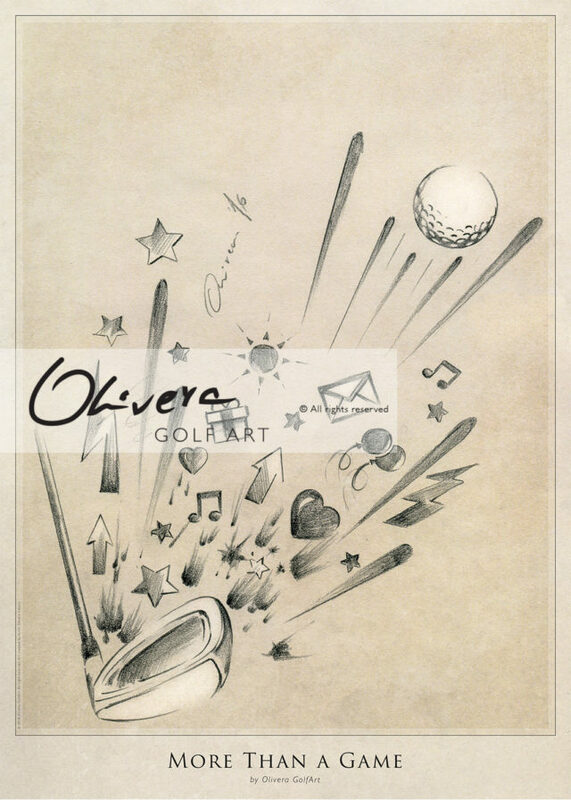 “With this GolfArt, I want to express my deepest gratitude to one of my favourite gentlemen in golf – Mr Arnold Palmer. 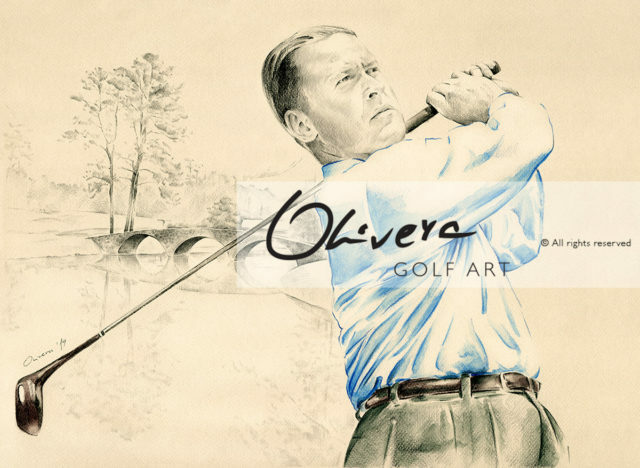 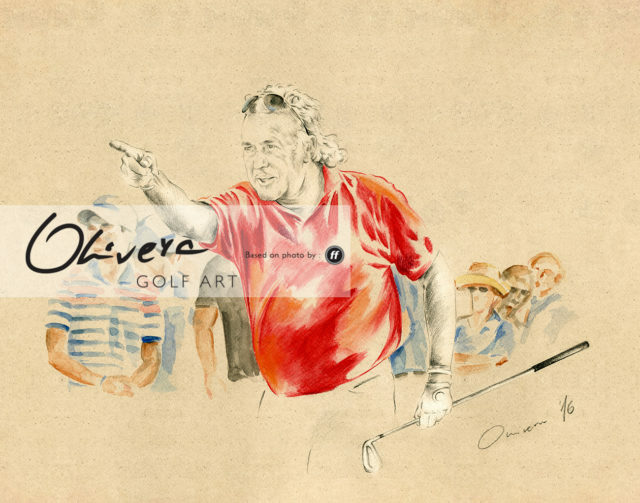 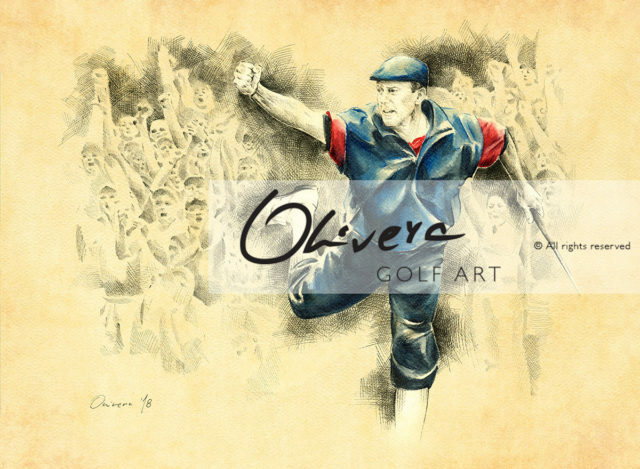 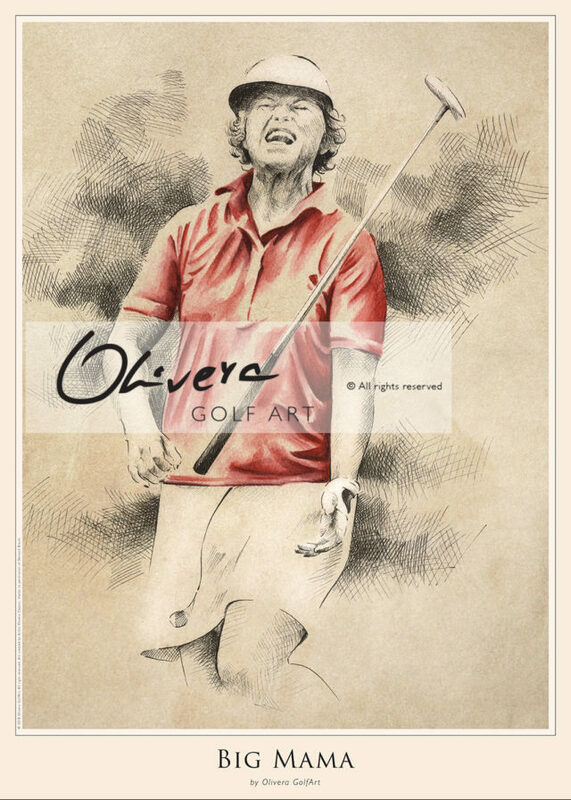 Without Arnie, golf will never look the same.” – Olivera Cejovic – worldwide renowned Golf Artist.